Lift everyone’s spirits with fun and colorful Cheerleading Spirit Drink Tickets at your next event. 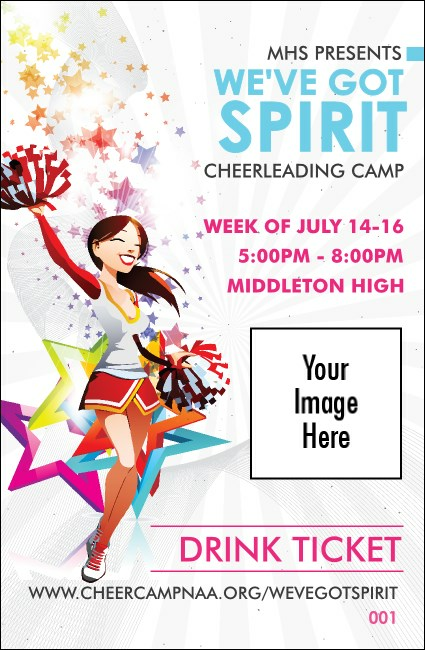 Each ticket features the image of a smiling cheerleader holding red and white pom poms with a pretty, multi-colored star design in the background. Upload your own unique image to discover the full potential of these cheerful beauties. Lead your event to success at TicketPrinting.com.